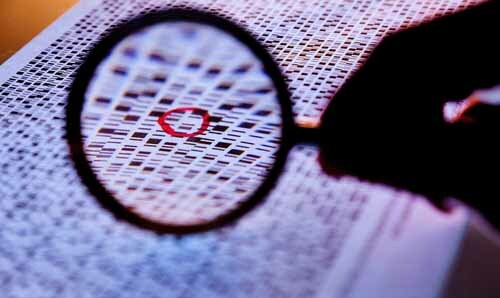 In 1990, the scientific community embarked on a landmark experiment to completely sequence the human genome. At the time, it was assumed that knowing the exact sequence of the human genome would provide scientists all of the information they ever wanted to know about genomics and how DNA contributes to human disease. At least this is how the project was presented to the public, however, every genome scientist knew that obtaining the sequence of the human genome was a lot like getting a cake recipe that listed all of the ingredients but didn't explain at all how much of each ingredient to use, how to mix the ingredients together or how long to bake that mixture to create a delicious cake. Compound that with the fact that the list contains over 35,000 ingredients and you can quickly understand why the sequence alone wasn’t very informative. We spent over 3 billion dollars to obtain this sequence and since the final publication of the sequence in 2003, the media has questioned its usefulness. Apparently, because cancer wasn’t cured in 10 years, the human genome project is largely seen by the media as a colossal waste of money; however, obtaining this sequence has been invaluable in speeding up research and has significantly contributed to our understanding of how some of these ingredients function to affect human disease. One of the important new themes in the decade since the completion of the human genome is that the actual sequence of the DNA is even less important than we ever imagined. I say this largely because the 35,000 or so genes coded by the DNA represent only 1-2% of the actual code. That means that 98-99% of our DNA is either useless Junk DNA (not very likely), or it contributes to life in ways that we yet don’t understand (much more likely). After the completion of the Human Genome, the National Human Genome Research Institute (NHGRI) started a new program to map all of the functional DNA elements in the human genome. The goal was to figure out what the other 98% of the genome was doing by finding all of the regions and sequences in the human genome that contributed to human gene expression. This project is the basis of the ENCyclOpedia of Dna Elements (ENCODE) - one of the most awkward scientific acronyms ever conceived. They did this by performing a number of experiments to map gene expression, determine where proteins were binding to the genome, and determine how modifications to proteins control access to the DNA code. This week, the consortium published 30 papers explaining their results in aggregate. Unfortunately, the major theme that emerged from this extraordinarily important resource is that 80% of the genome does something if you define “does something” as “converted into RNA.” Headlines are ablaze with the “No Junk DNA” meme, but I’m going to let you in on a little secret. The scientific definition of the word junk is subtlely different than the definition that most of us assume. Most of us think that "junk" is defined as stuff that has no use, never will, and should be thrown out. Here, scientists have been defining junk for the past decade much more like a hoarder would. Junk DNA is the DNA that we currently have no known use for, but that may have a use in the future. Think of this like you would that "American Picker'" show on the History Channel where those guys drive around in a van to homes or properties filled with what much of us would consider worthless gharbage. Once in a while they pull out something cool or useful from that pile of "junk." So scientists are a lot like the "American Picker's", all along we thought that this DNA might have a use down the line because maintaining genomes is a costly business. Think of the genome as a computer hard drive. As your hard drive gets filled with data and the data becomes increasingly cluttered, your computer slows to a crawl and becomes impossible to use. At this point, you have one of two choices, you can trash your computer and buy a new one, or you can defragment the hard drive, get rid of the files you don’t use, and archive files that you think you might need. Evolution and our genome perform similar functions so it would make sense that the genome contains mostly useable information because at a certain point extraneous information is going to be too costly. One of the important stories from the ENCODE data is that by doing evolutionary comparisons of 24 mammalian genomes, the consortium was able to determine that negative selection of useless, neutral and negative elements is actively occurring. This tells us that the genome is taking care of the “junk,” but again, this isn’t even close to the most important information we can glean from the ENCODE datasets and it’s sad that so much of the media coverage has focused on the junk story line. There’s a huge teachable moment here. Most of the public believes that DNA is what controls who we are and that the absolute sequence of the DNA is the most important bit of information. We know now that just isn’t the case, and yes, it is much more complex than that. Why and how proteins turn on specific genetic programs is dependent on much more than just the sequence of the DNA. Many genetic regulators bind to the genome in a sequence independent manner. Further, many of the start sites for genes expressed by the genome are not defined in a sequence specific manner. Every high school biology text talks about how the TATA box is the start site for DNA to be turned into RNA, except only 25% of the proteins expressed by the genome actually have a TATA site. For the majority of gene expression the genetic start sites are defined much more loosely as a function of which types of bases are present in the promoter or which proteins are bound there. This is where the power of the ENCODE project comes in. We now know where a huge number of genetic regulators are located on the genome. This data underscores the fact that the DNA program executed in each cell type in your body is different! We know this from previous research, but we have a much better view of this today by looking at the ENCODE datasets. ENCODE has determined the genome binding location of a couple hundred very important gene expression regulators in 147 different cell types. Where these proteins bind, how they are modified and what stretches of DNA they have access to makes all the difference in determining whether a cell turns into a neuron, a muscle cell, or erupts into a life threatening melanoma. The scary thing is that the ENCODE data release only contains binding information for 119 of the 1,800 proteins we know are involved in regulating gene expression and the 147 cell types tested only lets us glance at the specific genetic recipes executed in the thousands of different cell types that make up our body. With so much information left to explore, the million dollar (trillion?) question becomes: Is all of this complexity knowable? Probably. Previous: So, you've dropped a cryovial or lost a sample box in your liquid nitrogen container...now what? Next: Got fetal DNA on the brain? Really if you use genetics as an analog to a computer the genome is like the hard drive on a computer of unknown architecture with an unknown file system running an operating system and programs. Currently we seem to be at the point where a disk image can be dumped and a few patterns can be recognised and fiddled with using a hex editor, then dumped back to the disk to see what the changes do. Genetics is one of the many fields that could probably benefit from more cross pollination from other fields. We might even end up with at least a 2GL language for writing fresh genetic sequences from which more complex languages could be spawned. Understanding the pre-existing DNA and RNA may be an insurmountably massive task, but the ability to write genertic "patches" to help counter some conditions or add functionality would be invaluable. There's quite a bit of research into creating DNA storage and DNA computers, but I was just using that as an easy to understand analogy about why having a lot of junk cluttering the genome could be a disadvantage. No doubt there's a ceratin amount of stuff we don't use anymore.